The dark troubles that followed World War II for Japan produced a troubled writer to express the confusions and conflicts of a nation transformed, in a matter of months, from an imperialism of time-honored tradition into a democracy of constant change. 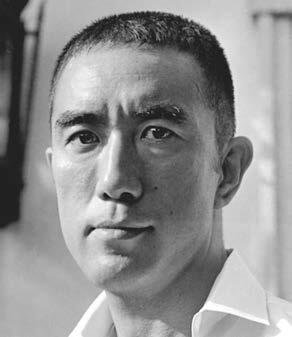 Yukio Mishima, with more personal intensity and literary power than any of his contemporaries, experienced and illuminated the difficulties of balancing the convictions of the past with the realities of the present, the authority of ancient custom with “the spiritual barrenness and meaninglessness of contemporary life,” and the struggle to express a sexuality that differs with public expectation. Born Kimitake Hiraoka on January 14, 1925, in Tokyo, the boy who would become Yukio Mishima was the son of a prominent civil servant raised by an aristocratic grandmother who demanded a cultured elegance in his person and behavior at all times. Failing his physical for military service during World War II, he worked instead in an aircraft factory. His true passion, however, was literature, and he began to spend his time studying and writing, with intense self-discipline, from midnight until dawn. The result was his first novel, Thieves, about two aristocrats who committed suicide. It was published in 1948 to modest success. Twenty-two novels, 40 plays, more than 90 short stories, hundreds of essays, several films, and three separate nominations for a Nobel Prize followed. 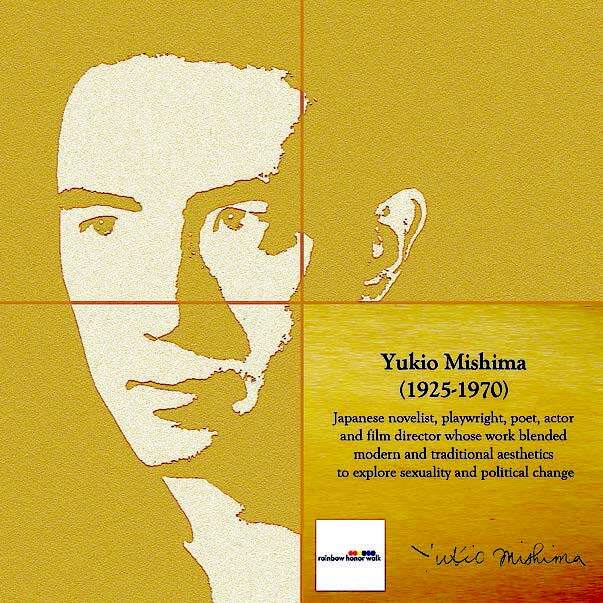 In Forbidden Colors (1951), Mishima went even further with his doctrine of masculine love. He wrote that intimacy between two men was not an attempt to imitate or replicate intimacy between a man and a women, but instead was an expression of the love that only two men can have for each other. 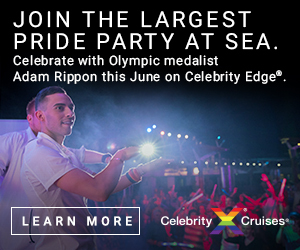 Two men, he believed, being the same gender, came into their relationship on equal sexual terms, with no one predestined to play roles as masculine and feminine or active and passive participants. His premise of equality within a physical relationship startled readers throughout the world. Such ideas seem obvious today, but many of Mishima’s views are onerous for modern readers. He became convinced that it was physical, muscular beauty that created passion between men, and that it was masculinity, not love, which was all important. His quest for virile perfection eventually turned into an obsession and he came to despise any femininity in men and stressed the supremacy of manly appearance above intellectual or spiritual maturity. He grew more and more reactionary. His views of aesthetic purity, male beauty, and sexuality turned to misogyny and ageism. Increasingly, he longed to restore imperial grandeur and the discipline and ideals of medieval Japan as a way to avoid a modern world of sexual alienation; tensions between mind and body; and what he believed were the empty, materialistic values of postwar Japanese society. 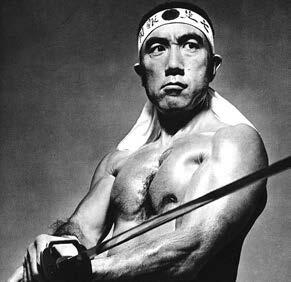 On Nov. 25, 1970, the day he gave his publisher the final book of his four volume epic The Sea of Fertility, Mishima and four of his devoted followers commandeered an office at a military headquarters near downtown Tokyo. In a 10-minute speech from the balcony, Mishima urged the servicemen who gathered in the courtyard below to overturn Japan’s democratic constitution, which forbids Japanese rearmament and military aggression. When the soldiers responded with indifference, he committed seppuku, a method of ritual suicide by disembowelment once reserved for samurai only, followed by decapitation at the hands of a loyal companion believed to be his lover. 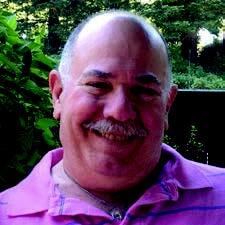 His death denied the world a vibrant, if conflicted, man and a gifted, enduring author. Mishima epitomized the conflict between the soul of an artist and his or her artistic achievement. Although the tangle of his inner being and the complexities of his life remain contentious, they do not diminish his importance as an author. Unable to integrate the traditions of the past with the transformations of the present, he came to personify his singular view that “perfect purity is only possible when you turn your life into a line of poetry written with a splash of blood.” With a literary genius able to write, “The snow seemed like a dirty bandage hiding the open wounds of the city…,” his great work is one of the crown jewels of civilization.